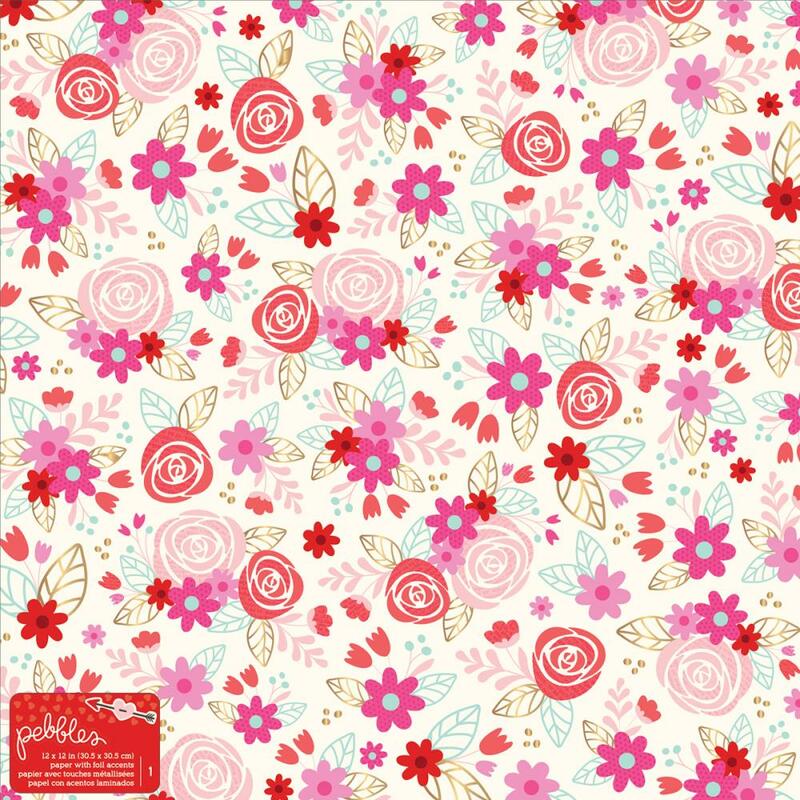 This 12x12 Speciality Paper has Florals on the frontside. What makes them so special? Well .... Many of the Leaves are outlined with Gold Foil. Look for coordinating Stickers, Cardstock Die-cuts and Designer Papers. Part of the Forever My Always Collection by Pebbles.